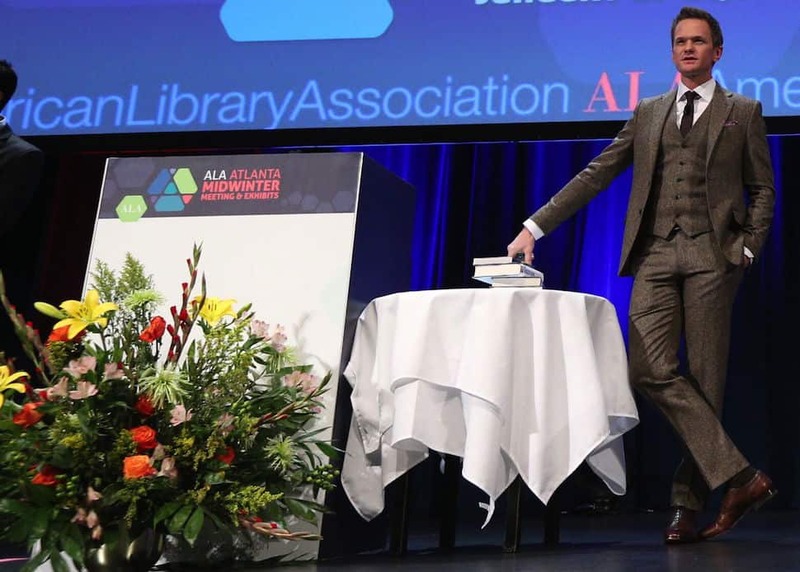 Neil Patrick Harris, before a packed auditorium at the Closing Session of the American Library Association’s 2017 Midwinter Meeting & Exhibits on Monday, joked that his name was the next to be added to a list of illustrious and prolific children’s book series authors. The award-winning actor, host, and magician talked about the inspiration behind his Magic Misfits series (Little Brown Books for Young Readers, fall 2017) and his latest turn as Count Olaf in the Netflix Original A Series of Unfortunate Events, took questions from the audience, and performed illusions in a high-energy, humor-filled, and sometimes slapstick presentation. “I would like to start off by saying that I’m not at all intimidated by the most literate group in America,” Harris said at the onset of the program. “I stand here before you today with nothing but my wit, my good looks, and these 76 color-coded index cards,” he said—spilling the cards to the stage floor. Harris shared with the audience his longstanding relationship with books. “I was a voracious reader,” he said. “I love [books] nursing my brain into uncharted territories.” Harris said his first job was in a bookstore, where he made displays and worked the register. Harris says he and husband David Burtka use books as a “clever tool” in parenting their 6-year-old children Harper and Gideon, whose current favorites include The Day the Crayons Quit and the “hilarious yet cautionary tale” Dragons Love Tacos. 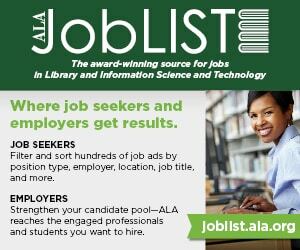 The crowd laughed consistently through a video of Harper and Gideon giddily and reluctantly answering questions about books and libraries. After the video, Harris revealed he had pickpocketed a distracted viewer in the audience, which made attendees laugh louder. “I think it’s important for books to be aspirational in tone. I feel so many books speak down to young readers,” says Harris. The Q&A portion was wide-ranging. One audience member asked for a hint to solving a puzzle contained within the deck of Harris’s brand of playing cards. We learned of Harris’s early penchant for fictional sleuths the Hardy Boys, Nancy Drew, and Encyclopedia Brown. 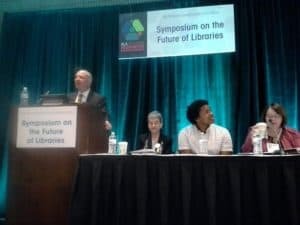 He even called law libraries’ purpose into question. For his final trick, Neil Patrick Harris escaped from a rhetorical trap, aided by a selfie with Boston University law librarian Ron Wheeler. 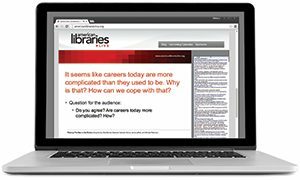 “Law libraries seem archaic,” Harris told his questioner Ron Wheeler, law librarian at Boston University School of Law. Wheeler replied, “Do you really want to go there? Do you know who I am?” to rousing applause. 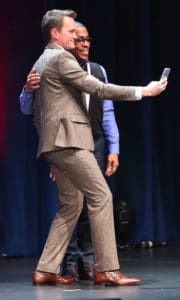 Wheeler used the opportunity to educate Harris on his work—and then talked his way on stage for a hug and selfie with Harris and a friend.